What makes Aruba so special is the abundance of joy only a happy island can give. The most beautiful beaches to relax; crystal clear waters for diving, sailing, snorkeling, swimming; a rough and rocky coast to explore; museums, galleries and landmarks. There’s plenty to keep nature lovers, culture-seekers, water sports fanatics, art enthusiasts, families and couples busy and wanting to come back for more. 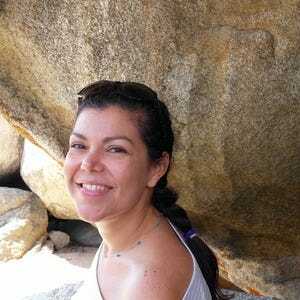 Hot Tips: Aruba's sun is strong, especially between 12 pm and 3 pm, so don't forget the sunscreen and the bottle of water. 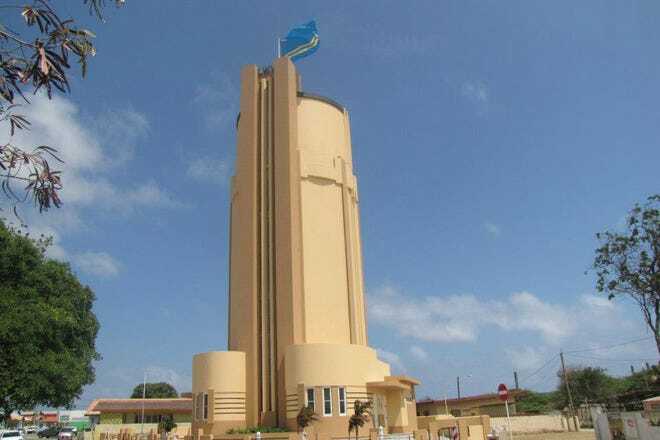 Hot Tips: Be sure to take your I LOVE ARUBA photos at the huge sign in front of the House of Parliament downtown. Most of Aruba's hotels and resorts are highly rated and right on the beach. Visitors choose the high-rise area to include the vibrancy of the island's best restaurants, nightclubs and shopping malls in their surroundings. For beach-lovers looking for peace and relaxation, the low-rise resorts offer a variety of lodging options, like adults-only accommodations but also include family oriented, all-inclusive options located close or right in the center of downtown Oranjestad. Hot Tips: High season in Aruba? If big crowds and high rates are a problem, book a more peaceful vacation in September or October. Hot Tips: Each resort has its own unique set of activities and amenities. Do some resort hopping to find out where to stay the next time. For such a small island, Aruba offers a great variety of amazing food. The places to eat, to have a drink and to wind down after a busy day of funning and sunning are breathtaking in so many ways. Going for only the very best restaurants or a quick and casual bite? The good news: any location is just a couple of minutes away. Hot Tips: Visit a snack truck and sample some typical late-night delicacies. Hot Tips: Try fresh catches of the day and other local dishes like goat stew and stuffed Gouda cheese. Aruba’s nightlife has come a long way in recent years. There are the popular alternatives like gambling in one of Aruba’s most glamorous casinos or sipping tasty cocktails during happy hours. But for those who are looking for more of a dynamic bar hopping atmosphere, most all relevant hot spots and nightclubs are located in the area known as High Rise, and are all known for their buzzing crowds, late night eats, after hours parties, laid-back dress code and approachability. Hot Tips: Although Aruba is a safe island to visit, tourists should always be aware of their surroundings, keeping an eye on their belongings and locking rental cars when parked. Hot Tips: Enhance your Aruba experience by learning the Salsa at Aruba Salsa Dance Company and conquer the dance floor in no time. 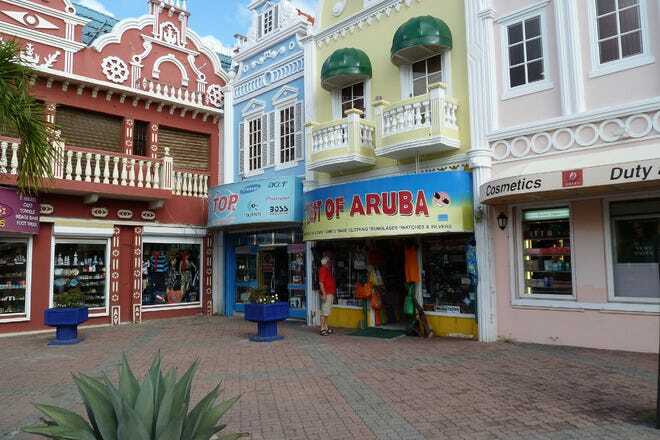 There is a wide range of shopping malls to explore in Aruba, as well as independent shops, boutiques, souvenirs and flea markets. 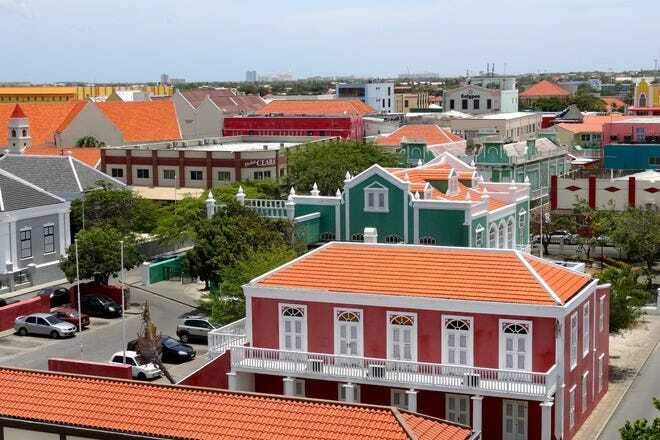 But to experience real island pride, a shopping day in the newly renovated downtown Oranjestad is highly recommended, including a visit to one or two museums. Although some parts may still be under construction, a stroll through the embellished main street while visiting the oldest retail and department stores on the island should not be missed. Hot Tips: Climb aboard downtown's trolley car, sit back and enjoy a scenic ride along the harbor and down Main Street Oranjestad. 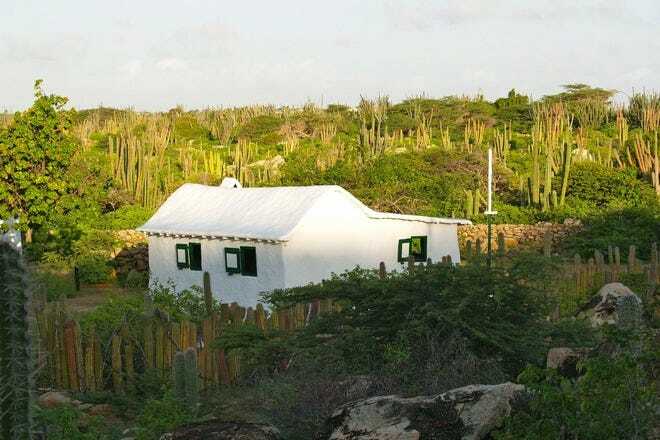 Hot Tips: Aruba Aloe products from the Aruba Aloe Museum and Factory at Hato. Four of Aruba's most unique features and characteristics. It should come as no surprise that a Caribbean island is noted for seafood. Indeed, many visitors eat nothing else during their stay and are happy to do so. Fresh fish and shellfish abound at Aruba's many local restaurants. Because the island is a wildly popular haven for New Englanders of every stripe during the winter months, there's no shortage of popular American chain restaurants, but you'll be doing yourself a disservice if you don't venture off the beaten path at least once to sample truly local flavor and its limitless offering of seafood. For those who prefer turf over surf but still want to be adventurous and "go native" during their stay, Iguana soup is a popular local dish. 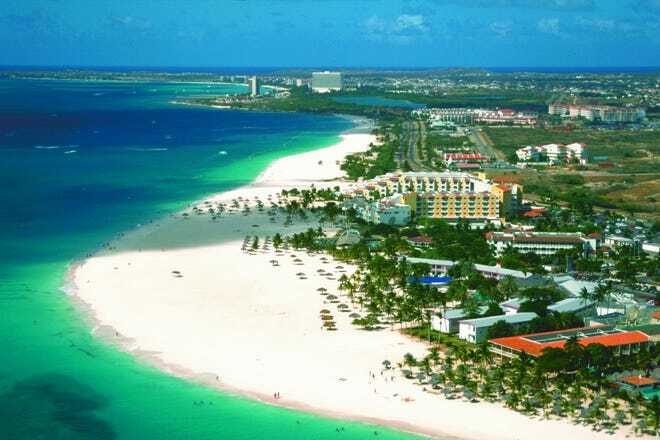 Equally unsurprising is that Aruba is world-famous for its beaches and astoundingly ideal climate. Don't like winter? This is the island getaway you've been dreaming about. Don't like heat? You're in luck there too; the tropical marine climate makes for endless sunny days, but a near-constant breeze makes Aruba more than livable. The many beaches of Aruba are varied but all equally compelling. Baby Beach offers some of the best snorkeling in the Caribbean, while Arashi Beach, with its white sand and shady huts, should be the number one destination for beach bums whose main priority is lounging. And not to be missed, Eagle Beach is often considered among the top 10 beaches of the world. Contrary to popular belief, and though there's plenty of it to be found at the Aruba airport, Aruba is not a duty free island. Still, Aruba's economy being as reliant on tourism as it is, the shopping scene on the island is robust and quite reasonable. American dollars are accepted throughout the island, and you'll find that even street vendors offer competitive prices and seldom try to gouge their customers (though some caution and common sense is, as always, recommended.) If local shops and vendors aren't your speed, the Renaissance Mall in Oranjestad features an impressive selection of European and American major label brand stores. Aruba is a prime destination for folks who want to cool (or warm?) their heels on immaculate beaches, but for those who prefer to stay active and adventurous on vacation, it's an equally compelling option. If you're staying at a resort, chances are you can find most any activity imaginable through the front desk or concierge, though adventure is far from limited to resort guests. 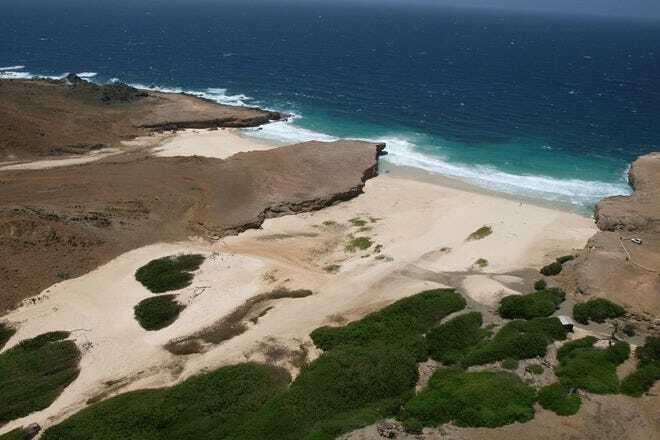 Jeep safaris to the more far-flung, uncrowded beaches of Aruba offer a great way to get out of the city and see the more remote regions of the island. Horseback riding and rock climbing are also popular choices. And, it goes without saying, every kind of watersport is represented on the island, and the fishing (both coastal and charter deep sea trips) is top notch.